Child custody disputes continue to be at the forefront of family law. Recent long deployments of military personnel has placed many at risk of losing custody of their children during their extended deployments. Some issues are addressed by the Servicemembers Civil Relief Act (“SCRA”), but the vast amount are governed by state law. The disparity in treatment of servicemembers is immense and concern in the legal, judicial, and social welfare communities has prompted calls for more uniform handling and better understanding of the rigors and requirements of active military service. 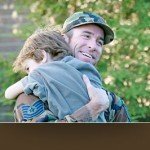 Some states are considering model rules developed by more than 300 attorneys throughout the country on the handling of child custody disputes involving actively serving military men and women. One goal of the model rules is to maintain consistency. While one court may consider military service in one manner, another reach a completely different conclusion. The result is either disparate results, prejudice to a party, or forum shopping. The practice of family law continues to be very jurisdiction-specific. A related, second goal of the model rules is to ensure that military personnel who are deployed for long periods of time are not unduly penalized under standards such as “best interests” of a child. The need for consistency between jurisdictions is highlighted by the nature of military service that requires relocation. When a servicemember must move because of deployment orders, he or she may move to a different jurisdiction while the other remains. Child custody issues then may arise in both jurisdictions and there may be completely different results, based upon the differences in the court rules, law, and precedent in the two jurisdictions. 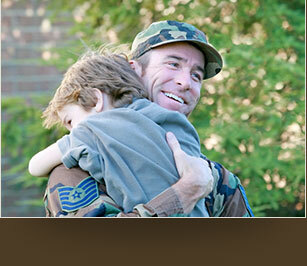 Military personnel are protected from losing their custody rights by the Servicemembers Civil Relief Act. Before taking legal action against a servicemember, be sure to obtain a military affidavit. Failure to do so could result in penalties and even potential jail time.